550 pages | 182 B/W Illus. 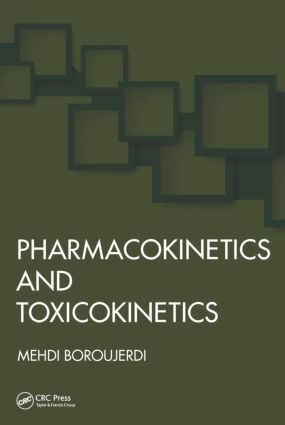 Pharmacokinetics and Toxicokinetics provides an overview of pharmacokinetics and toxicokinetics in a comprehensible, interrelated, and applied manner. It integrates the principles held in common by both fields through a logical and systematic approach. The book presents mathematical descriptions of physiological processes employed in different approaches to PK/TK modeling. It focuses on emphasizing general principles and concepts, rather than isolated observations. Above all, the book is an effort to blend the pharmaceutical and toxicological aspects of both fields. The systematic compilation of mathematical concepts and methodologies allows readers to decide on relevant concepts and approaches for their research, scientific or regulatory decisions, or for offering advance courses and seminars. This is an invaluable resource for scientists in the pharmaceutical sciences, clinical sciences, and environmental health sciences, as well as those involved in drug discovery and development. Mehdi Boroujerdi is a professor of pharmaceutical sciences and the founding dean of the School of Pharmacy at the University of Massachusetts Lowell. He previously served as a professor, dean and provost of the Albany College of Pharmacy and Health Sciences in New York. He earned his PhD in pharmaceutics and pharmacokinetics from the University of North Carolina at Chapel Hill and conducted postdoctoral research at the National Institutes of Health – National Institute of Environmental Health Sciences (NIH-NIEHS) in chemical carcinogenesis and low-dose extrapolation. Dr. Boroujerdi has a broad background and experience in pharmacokinetics/toxicokinetics and the role of influx and efflux proteins. His current research explores the chemoresistance of pancreatic cancer cells to chemotherapeutic agents both in cell culture and in vivo. He has published more than 110 peer-reviewed articles as well as a textbook on pharmacokinetics, principles, and applications.